With so many translators involved, it’s not surprising that some readers wonder how we held it all together. Good question—how? 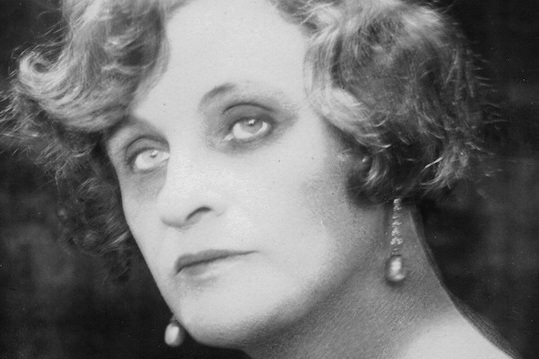 Much of the credit has to go to Teffi’s voice—strong and perfectly pitched, it tells us exactly how she should sound in English: as translators of Teffi, we are all her understudies. As important as this is, it’s also a great challenge. I first encountered Teffi’s work at a translation workshop that Robert held in 2011. As he said then, and continues to say now, it’s very easy to translate Teffi badly. It’s by no means easy to take a text that is perfectly pitched in one language—whose author revels in the language and avails herself of all its gifts—and then get it right in another. But challenging texts are where collaborative translation really comes into its own: it’s not a case of too many translators spoiling the text, but of many translators being better than one. Thanks to our many heads, our work has been subject to many readings. In the cases of Subtly Worded and Rasputin and Other Ironies, each story had one main translator. When our translations seemed ready, we would exchange them and carefully read one another’s work alongside Teffi’s Russian. Our multiple readings of the same text amounted to alternative translations—what filtered through in my reading would be slightly different from what filtered through in someone else’s. With the best will in the world, a lone translator is less likely to identify as many nuances in a text as can a group of dedicated translators. By sharing our impressions, we were able to make our translations better, more accurate, more complete. This doesn’t mean that we never disagreed, but when we did, we continued our dialogue until we were able to agree—sometimes sooner, sometimes later! Our multiple heads meant we not only contributed multiple readings of the original text but also acted like a monolingual writing group, critiquing one another’s English texts and spotting unintended ambiguity, clunky writing, and even unrealised potential. This was invaluable, because how I hear what I’ve written is not necessarily how someone else hears it. I know very well where I want the emphasis to fall, for instance, but unless I’ve done a good job setting up the text, the reader may place the emphasis elsewhere. Reading out loud also helps, and reading out loud together is even better. During my mentorship with Robert in 2011-12, he recommended not adding any vocal emphasis, letting the words themselves do the work. Wherever I found myself hesitating or stumbling, the translation usually wanted some extra attention. I was lucky to be able to meet with Robert in person to go over a number of the translations in Subtly Worded. We took turns reading them out loud, and the texts I brought home were covered in ink and all the better for it. Robert has read all of the Teffi translations out loud at least once to his translation partner—his wife, Liz. Liz has a very sensitive ear and contributes excellent and extensive edits. It would be hard to overestimate Liz’s contribution to the unified voice the reader hears in these translations. In sum, having many strong collaborators can make a big difference when translating a writer whose work is deeply embedded in the source language, and whose voice is so precisely pitched. Teffi’s writing told us what she should sound like, and because we were many, we were more likely to notice when we weren’t getting it right. Because we were many, we were able to contribute multiple readings and act as multiple editors. Because we were many, our golden moments were also many. Finally, our collaborative approach not only helped us to translate Teffi better, but it also gave us the opportunity to learn from each other. Anne Marie Jackson began her career as a translator in 2011, when she began a mentorship with Robert Chandler. Since then, she has collaborated on translations of work by Teffi—three volumes so far—and translated works by contemporary writers Alexei Nikitin, Maxim Osipov and Olga Slavnikova, and by classic Soviet writers Daniil Kharms and Mikhail Zoshchenko, among others. She was once shot dead by Chechen rebels in a Russian film but lived to tell the tale. [i] Memories differed from the two collections. Irina Steinberg had already translated the entire text into English. Robert and Liz then collaborated on revising the translation, and I assisted them. [ii] Although sometimes a wonderful reader would turn up earlier in the process! Irina Steinberg, one of the translators of Memories, read and commented on every story that went into Subtly Worded. Not only is Irina a native speaker of Russian with native command of English, she is also a huge fan of Teffi. Irina did a lot to help shape these translations at an early stage. [iii] Most of these readers came from Robert’s network. A task for me as a translator early in my career is to build my own network. [iv] Or perhaps not… After the translation was submitted to the publisher and the editor had marked up the text, we collaborated once again to go over the edits.